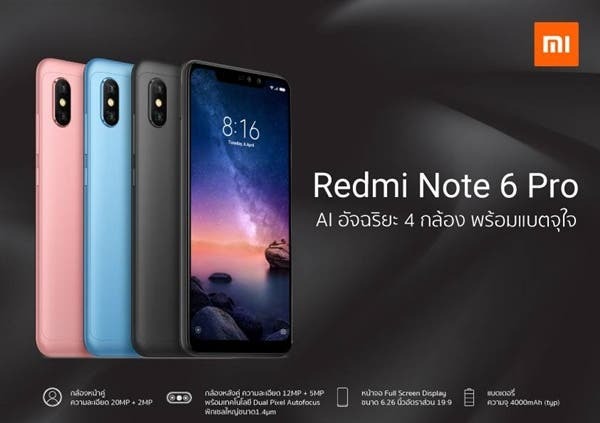 Thailand is one of the first markets to get the unannounced Xiaomi Redmi Note 6 Pro. This phone has not been officially announced yet, but it has managed to appear in various stores. 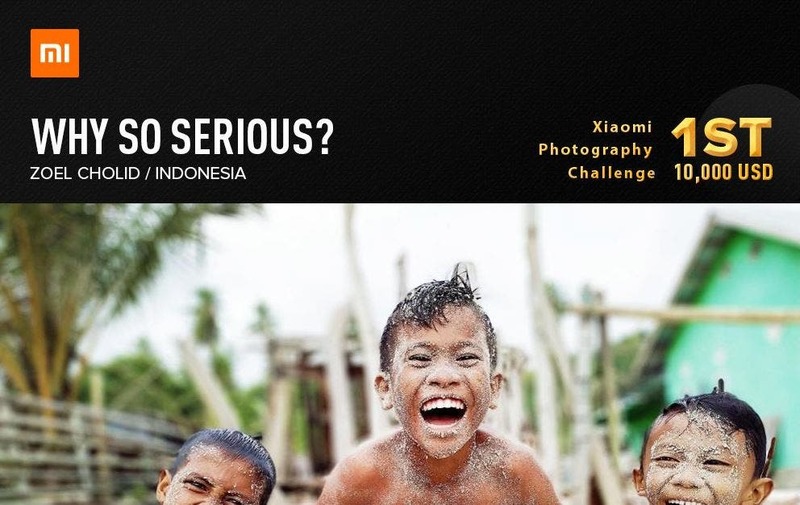 Today, it was officially introduced in Thailand 6,990 baht ($215). And there are three color options to choose from – black, blue, and rose gold. 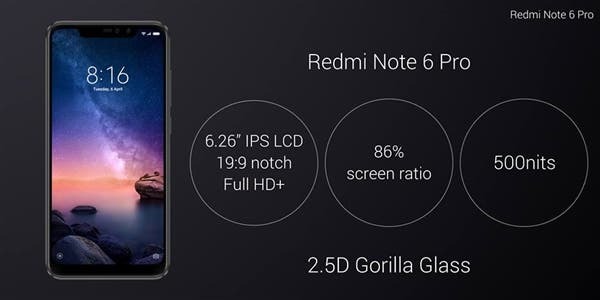 Compared with Xiaomi Redmi Note 5, the biggest change in the design of the Xiaomi Redmi Note 6 Pro is the use of a notch screen. 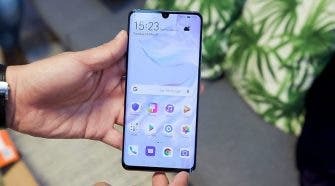 The phone is packed with a 6.26-inch full-screen, which comes with a Full HD+ resolution, an aspect ratio of 19:9, and a screen ratio of 86%. However, the back design doesn’t differ much from its predecessor. 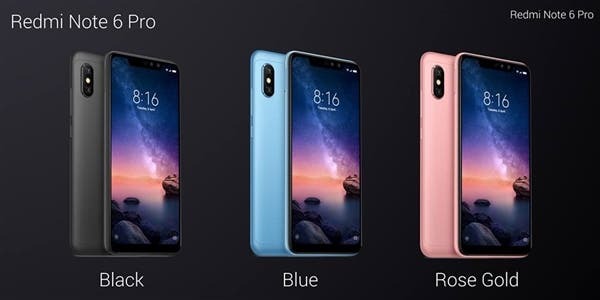 Thus, the Xiaomi Redmi Note 6 pro uses a traditional three-stage design. The middle part is made of metal, while the upper and lower parts are made of plastic to provide a better antenna signal transmission. 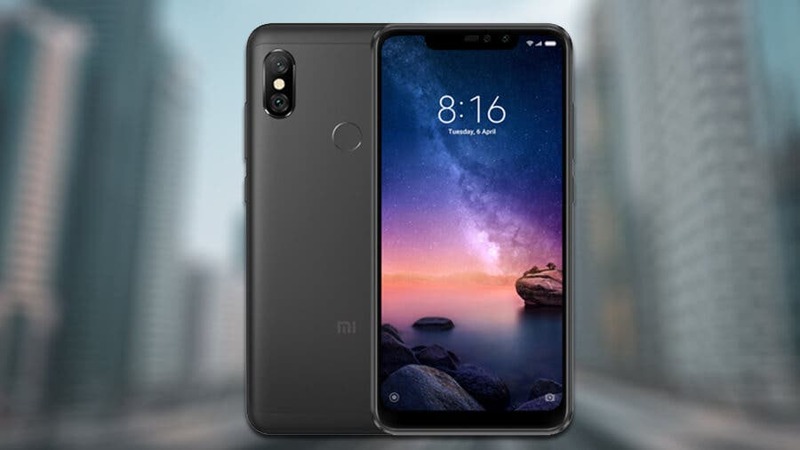 In terms of hardware, the Xiaomi Redmi Note 6 Pro is equipped with a Qualcomm Snapdragon 636 processor, a 4GB of memory, a 64GB storage, a 4000mAh battery, and still retains a 3.5mm headphone jack. 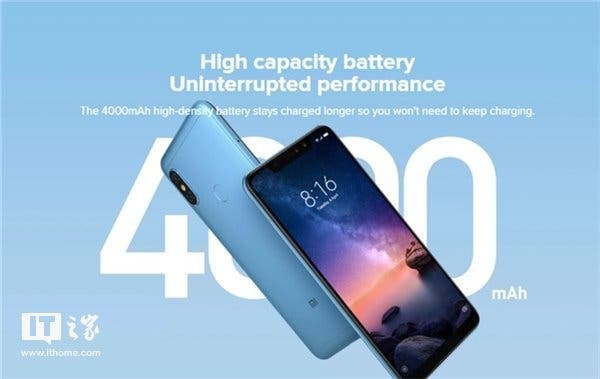 According to the official introduction, Xiaomi Redmi Note 6 Pro can play 34 hours of music or 6 hours of game or 8.5 hours of 1080P video or 19 hours of local calls. This is one of the selling points of this handset. No need to carry a power bank with you. 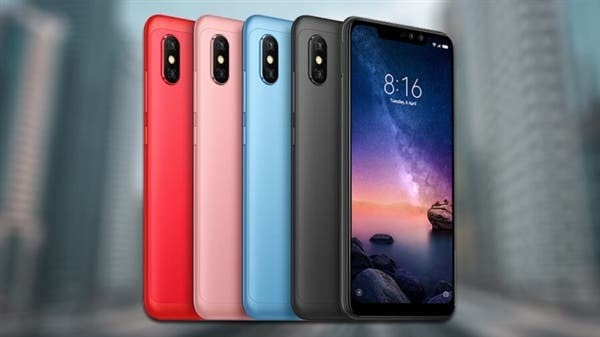 The second selling point of the Xiaomi Redmi Note 6 Pro is its front camera. There is a 20MP + 2MP dual-camera with an aperture of f/2.0, portrait mode support, and AI face unlock. 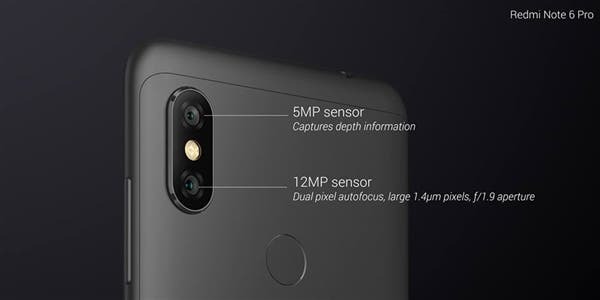 As for the main camera, it uses a 12MP + 5MP sensors combination, the 12MP sensor of which has a unit pixel area of 1.4μm and an aperture of f/1.9 and supports Dual PD dual-core focus. 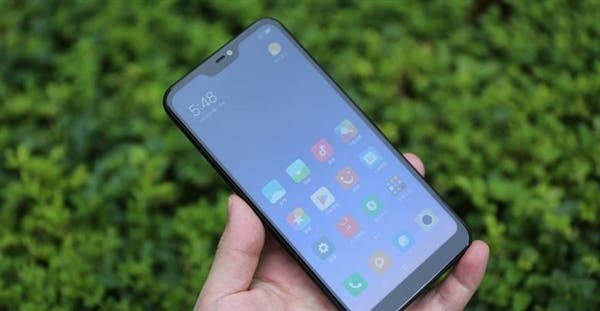 New Xiaomi Phone Passed Through 3C Certification: Xiaomi Redmi Note 6?